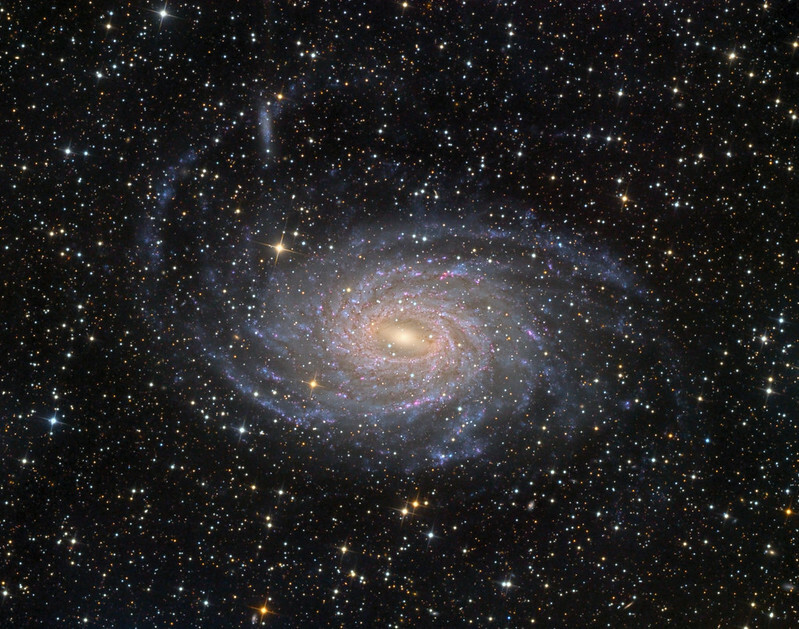 Celestron C-11 (f = 2800 mm), ASI 290MM in bin 2x2 mode and 10 fps frame rate with IR/UV block filter. Stacked 900 best frames of 1800, six movies were recorded in approx. 7 min intervals. Between these movies, Mars was captured with R, G, B filters to get non-overexposed color image, which was added afterwards. The animation covers time period 21:21 - 21:53 UT, 23 July 2018. Some background stars are also visible. Cygnus Bubble & Crescent Nebula: Narrow Band with RGB Stars. Last edited by bystander on Fri Jul 27, 2018 4:00 am, edited 1 time in total. Here is my photo close to mid-totality for this evening's lunar eclipse. I shot this a few minutes before the predicted totality because apart from the Earth occulting the Moon (as seen from the Sun!) the Moon itself was also going to occult star SAO 163632 as seen from my observatory (Ir-Rabat, Malta). You can see this on the left limb as well as in the preceding images which show the Moon approaching the star. 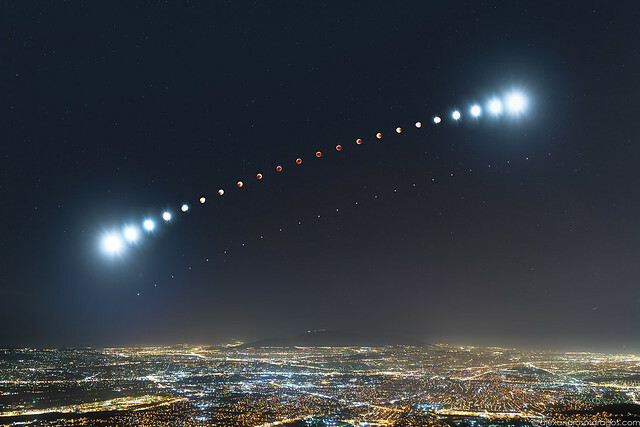 There were two total Lunar eclipses in 2018. One in January, just near the perigee, and the other happend today, just near the apogee. 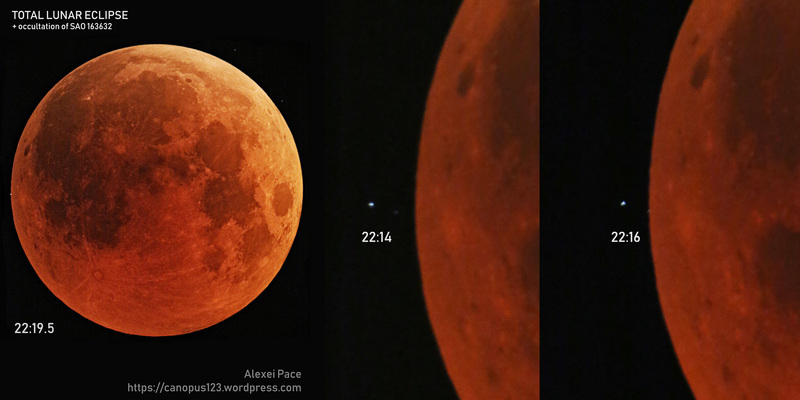 I used the same telescope and camera to take the two total lunar eclipses and compare the blood moons. I was surprised to find that the size of the two moons is so different. Night landscape above Lagoon Korission in Corfu island, a Natura 2.000 area with the Total Lunar Eclipse and the Mars on the left and the Glory of Milkyway during the Eclipse! A remote acquisition from Chilescope ASA20'. Last edited by bystander on Sat Jul 28, 2018 2:03 pm, edited 1 time in total. 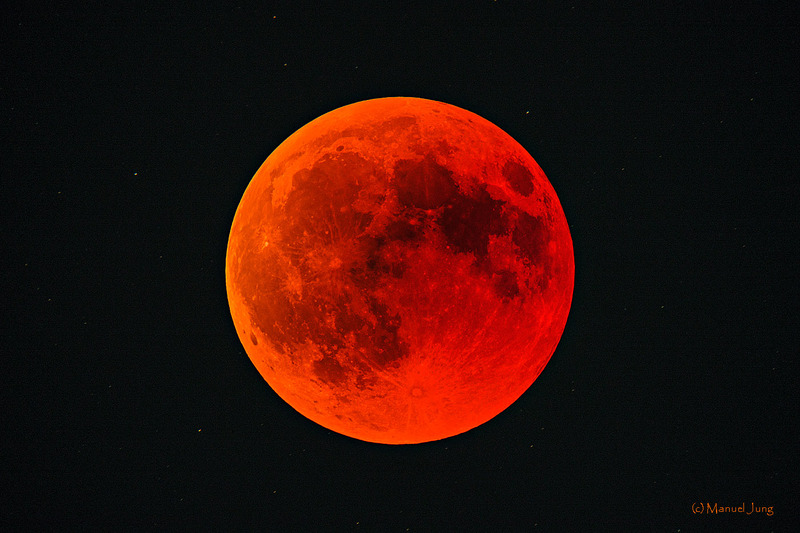 turns the moon blood red in the night sky over Athens, Greece on July 27, 2018. Takahashi TOA 150/1100 APO-Refractor @ f/11.7 with Canon EOS 5D Mk IV. Exposure time: 1 x 15 sec. @ 200 Asa. 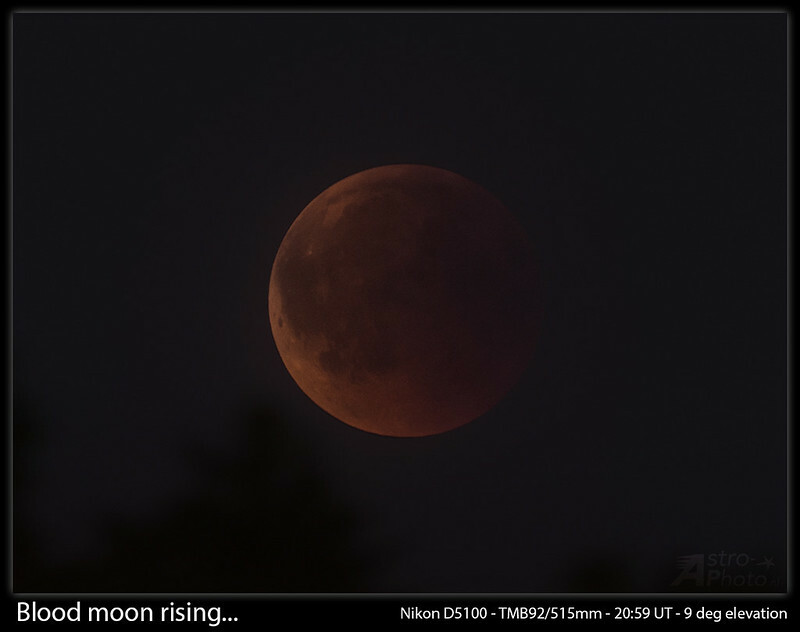 Lunar Eclipse from Cuneo (Italy). Please find above the totally eclipsed Moon captured next to the Mole Antonelliana, the building symbol of Turin, Italy. The Pillars of Creation, Lunar Eclipse version! 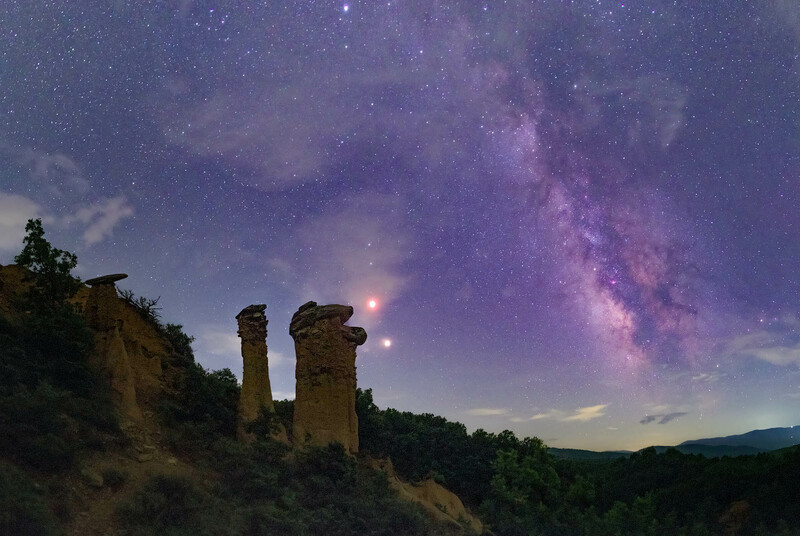 Last night we were blown away by the unique scenery of Buharia national park found in Northern Greece and the event of the Lunar Eclipse going through these unique natural columns. I knew that we had a very interesting location selected but when I viewed this, it was way more than I had wished for. You can see planet Mars (Aris in ancient Greek), Antares (instead of Aris in Greek, on the far right) and Saturn in the center, all under the mesmerizing light of the Lunar Eclipse. 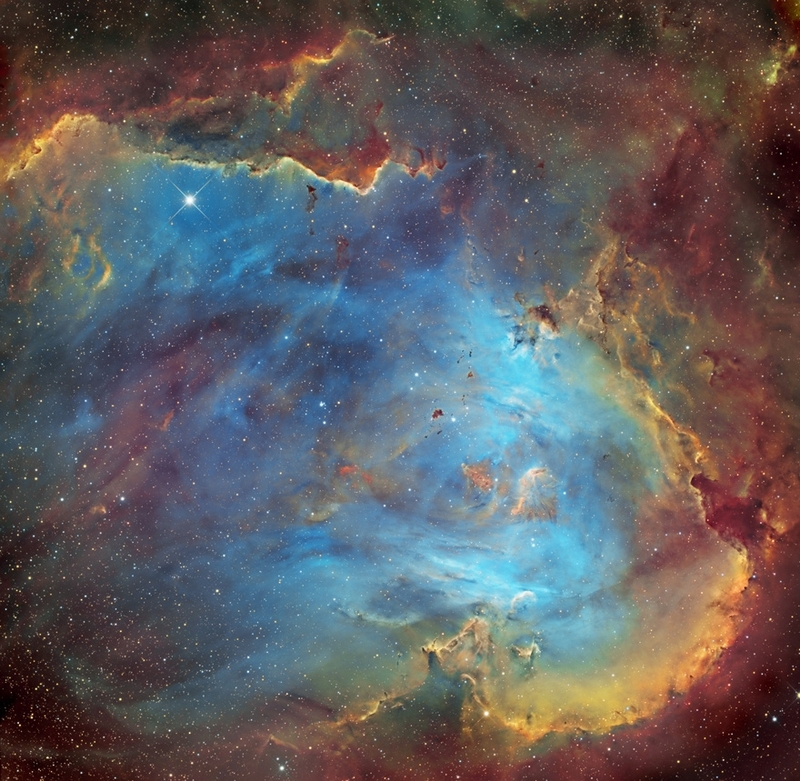 This is a panorama image made with a 50mm lens and a Canon 6D full spectrum modification. No blending and no tracking happened here and since the geometry of the 50mm is very near to how our eyes perceive reality, it is as close as to the real observation as it can be. The images were 10sec exposures at ISO10000 and I closed the aperture from f/2 to f/11 for the totality image. Canon 6D, ISO 12800, 5 s, Sigma ART 50 mm lens @ f/2.0. Single untracked exposures, mosaic of 4 images. Moon image was added as HDR composite (1/4, 0.5, 1, 2.5 and 5 s). Processed in Lightroom, Pixinsight and Photoshop CC. In this photo made with only 14 minutes of interval we can see well how the IR pass filter 685 nm easily highlights some formations. In the specific case the polar hexagon and the polar hurricane eye become much better contrasted and therefore easier to visualize. The HD star 168233 with magnitude estimated at +9.25 is easily visible in the color photo but in the IR photo it was already behind the planet's disk. Lunar Eclipse on planet Tatooine? On our site, during totality, we watched a magnificent view of the Eclipse with planet Mars and the Milky Way. The site called Buharia is very unique for the Greek landscape and gave us an out of this world experience. Immediately it came to me the scenery of Star Wars movie from the planet with the two Suns Tatooine! 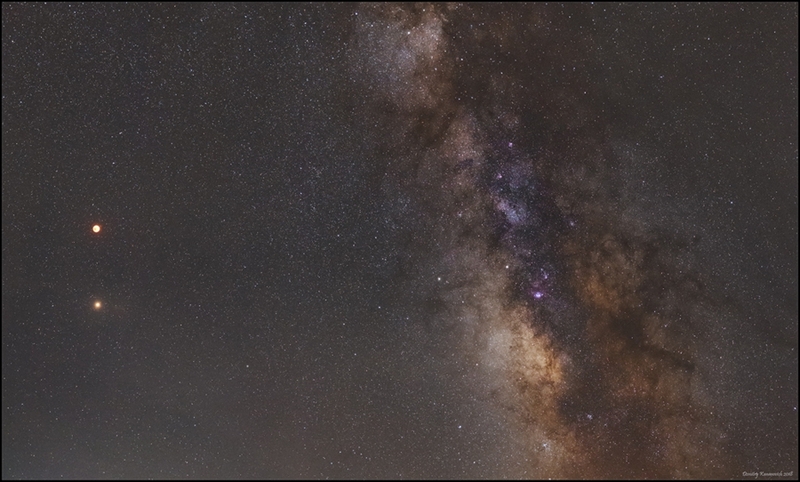 The image is a panorama of 10sec exposures made with a full spectrum modified Canon 6D with a 24mm f/1.4 Samyang lens. No tracking or blending and the images were made at ISO10000.